Eluding detection of the most wary of targets with a high-tech composite exterior; it carries an armament with laser-guided accuracy which single handedly can destroy an entire town; its afterburners crack at supersonice speeds and can put a man at the controls to sleep with it’s massive G-Force. Of course we are talking about the F-22 Raptor Fighter Jet the most advanced and sophisticated weapon in the world today, which the Evolution2, Raptor Speargun was named after and bears a slight resemblance to but without the $273 million dollar price tag. The HammerHead Evolution2 Raptor model utilizes a sleek elliptical Poly-Urethane coated shaped barrel, which gives it stealth and stability in the water. 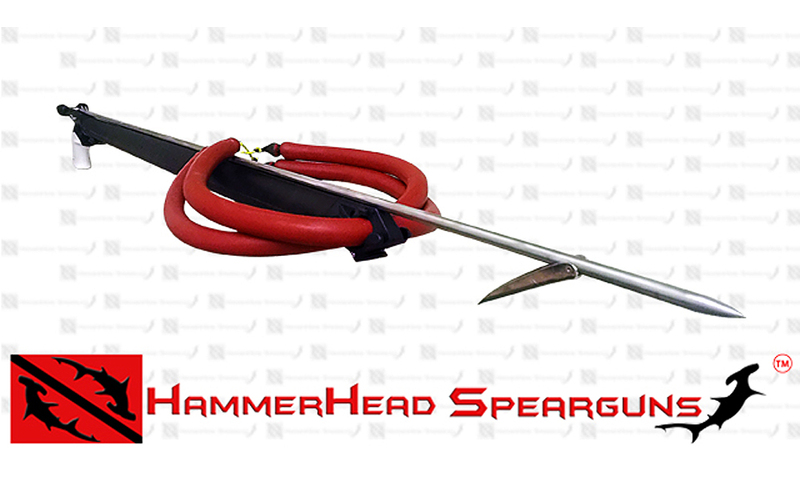 The unique Raptor coating dampens shot noise and vibration, while lending additional mass to the speargun allowing for increased recoil resistance. With an elliptical shape the Raptor barrel easily tracks through the water while “locking-in” it’s target. 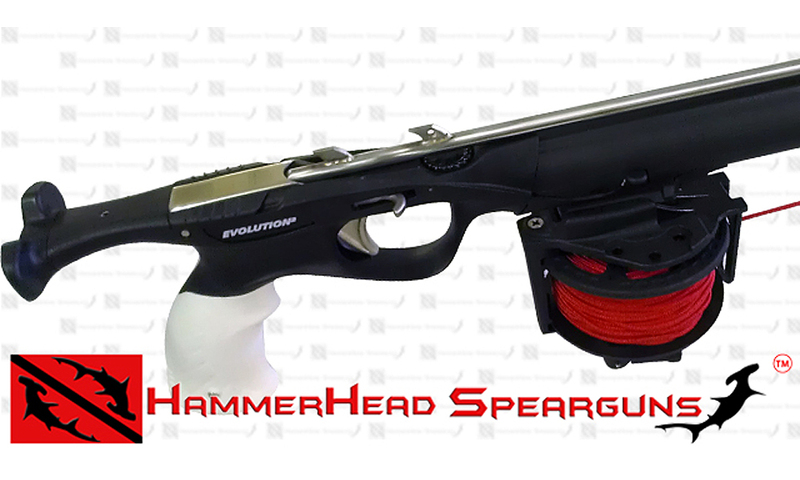 Completing the armament the HammerHead Evolution2, Raptor comes with the all new Evolution2 Trigger Mechanism with full stainless steel line release, trigger sear, housing, and trigger pull. Twin 5/8” Bands utilizing the Power Helix interchangeable wishbone system provide hard-thrusting power, shooting a 9/32” 17-4 PH Stainless Steel shaft with welded dual-fin shafts. Although fully armed and accessorized out of the package, the Evoution2, Raptor can also be accessorized with any of the HammerHead Remora Reels or a 6 mm – Threaded welded-fin Evolution Shaft. » Open Muzzle dual band holes.